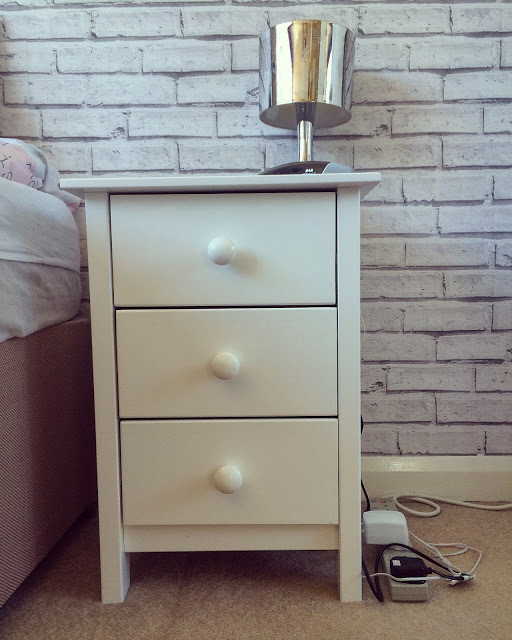 The number one place of clutter collecting is the bedside table. This is usually because they have a couple of drawers and are convenient to put all of those random items in when we can’t be bothered to put said item in its original habitat. 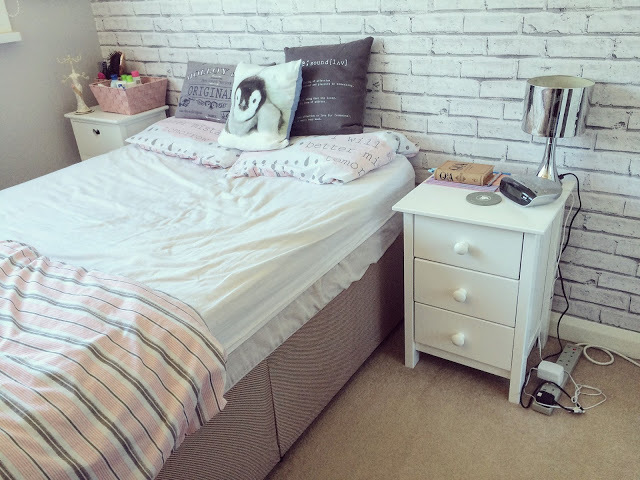 However, your bedroom should be your sanctuary so why should it be cluttered? Empty all drawers and tops. Purge away! We’re talking receipts, toiletries, old magazines, cash. Only essentials should be kept here, especially on the top. Keep the top for those items you need regularly: a lamp, an alarm clock, a pen and paper, a coaster and a small dish for everyday jewellery. 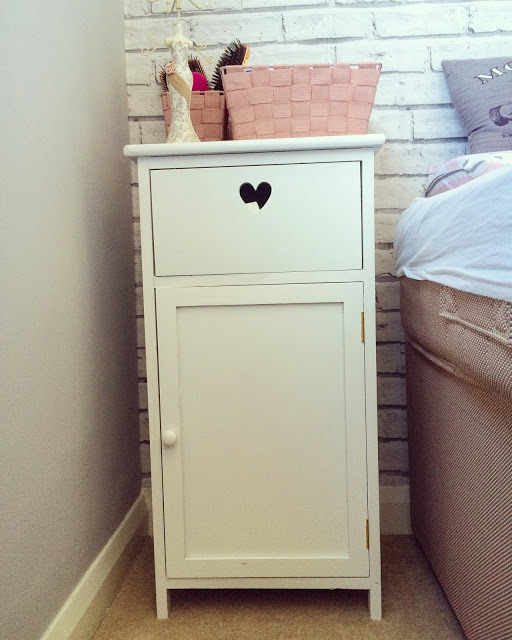 Invest in dividers or trinket boxes for your drawers to store smaller items in, such as hair grips and receipts. 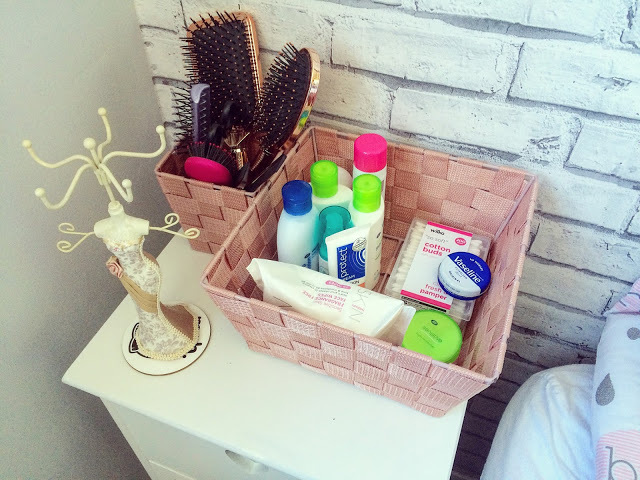 In the top drawer I keep extra skincare products: cleaners, toners, moisturisers and cotton wool. The drawer is not the strongest in the world so I keep smaller, lighter products in there. In the main cabinet I keep extra toiletries: shampoo, conditioner, shower gel, exfoliators, face wipes and other haircare products. These are bulkier items so are best kept in a cupboard. In the top drawer, I keep all those miscellaneous items: chargers, receipts, spare change and iPod. I try to sort through receipts weekly so they don’t clog my drawer up and let’s face it, our phones have terrible battery life nowadays that they are permanently charging when at home! In the middle drawer, I keep all of my hair products/accessories. I have a headband pot, a hair slide pot and a hairband pot. I went through a phase of being obsessed with headbands thanks to Blair Waldorf and I can’t bear to part with my collection! In the bottom drawer, I keep other smaller toiletries (deodrants, sprays, toothbrushes, toothpastes, razors, lipbalm). I go for a minimalist approach on the top. 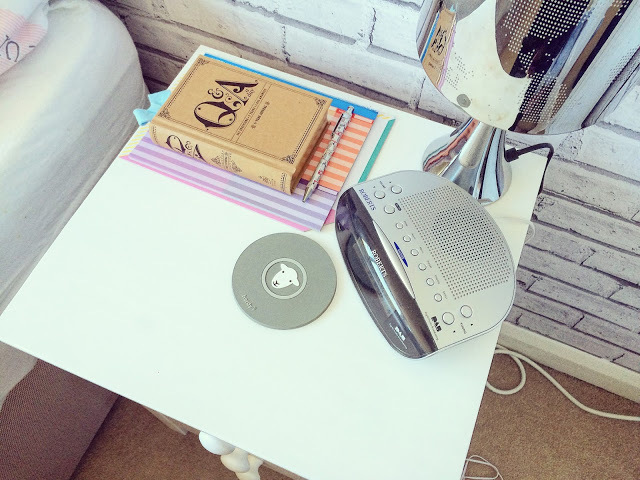 All I need on a daily basis is a lamp, my DAB radio which doubles as an alarm clock, a coaster, a pen and notepad and a book. As I write a to-do list every night, the weekly pad is a must for me! I usually have a bottle of water on there aswell as I like to keep hydrated!What are your bedside table essentials? Leave me a comment below!